Naturalist and novelist Gene Stratton-Porter was was also possibly the most popular author in the United States and one of the best known nature photographers in the world until World War I. Between 1903 and 1924 she authored nine nature studies and twelve novels. A Girl of the Limberlost (1909) is perhaps the best remembered of her novels, but owing to Porter's popularity, eight were eventually made into movies. Today the Gene Stratton-Porter State Historical Site, in the Indiana forest Porter named Limberlost North, welcomes more than 40,000 visitors annually to its museum on twenty of the 150 acres Porter originally owned.The twenty-three costumes in this volume replicate in detail those in the Site's photographic archives. 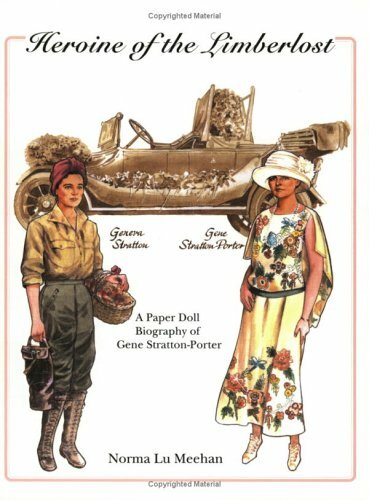 Meehan's own brief biography of Gene Stratton-Porter introduces five dolls including Porter both as a young woman of twenty and as an established author; her brother "Laddie"; and her grand- daughters Gene, whose costumes include what she wore portraying "the little scout" in the movie of Keeper of the Bees, and Jeannette, for whom she wrote Morning Face. If you have any questions about this product by Texas Tech University Press, contact us by completing and submitting the form below. If you are looking for a specif part number, please include it with your message.